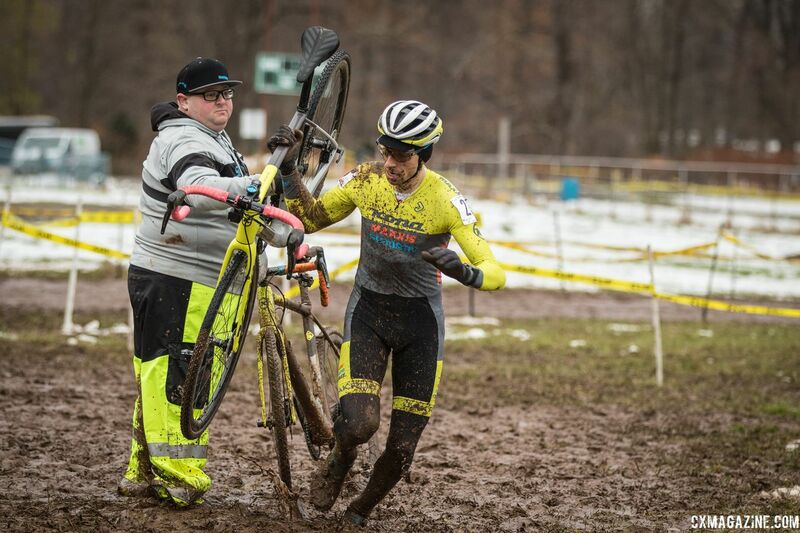 SUFFERN, N.Y. — Extremely muddy conditions from snowmelt were on hand for a second day of racing at Rockland County Supercross Cup. 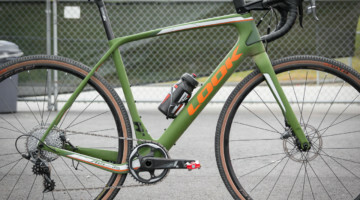 It was the third consecutive year racing was held at Rockland Community College, located an hour from New York City in the southernmost county of the Empire State on the west side of the Hudson River. 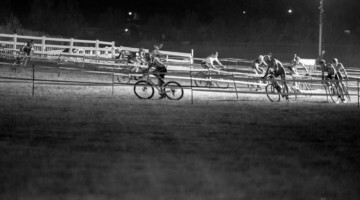 Racers competed for UCI Category 2 points in the USA Cycling Pro Cyclocross Calendar (ProCX). 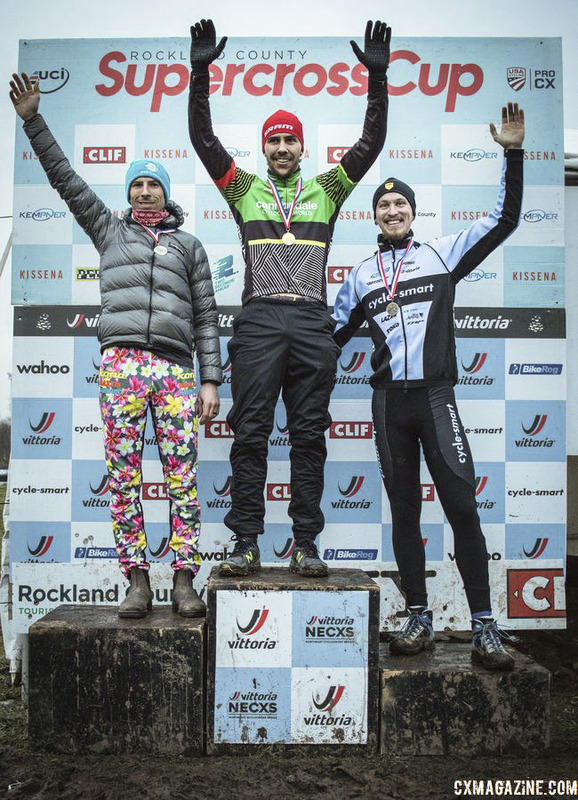 It was also the sixth of eight events in the 2018 Vittoria Northeast Cyclocross Series presented by Clif Bar and Cycle-Smart. 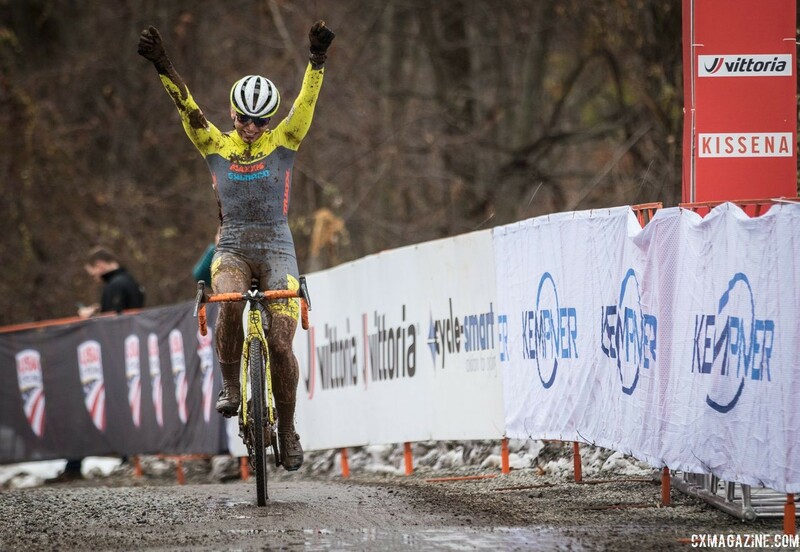 Rebecca Fahringer (Concord, N.H./Kona Maxxis Shimano) charged away from the Elite Women’s field of 23 riders to claim her first ProCX win of the 2018 season. 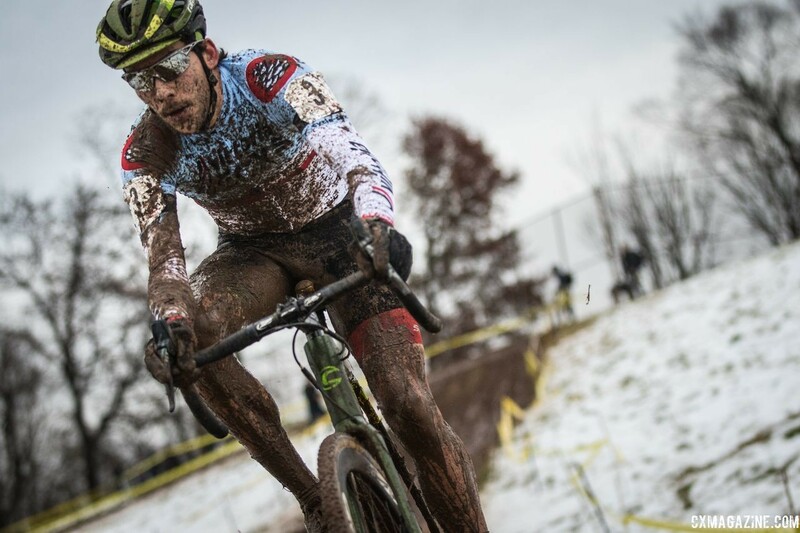 Curtis White (Delanson, N.Y./Cannondale p/b CyclocrossWorld) went two-for-two for the weekend to sweep the Elite Men’s races. 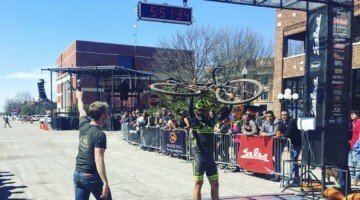 Sunday was his sixth consecutive victory of the season in a Vittoria Series event. Six inches of snow fell on Suffern and the college campus on Thursday. Temperatures moderated into the mid-40s for the weekend, creating a soggy course both days. Fahringer would make her winning move on the second lap of the five-lap race. She would grab a 15-second advantage on that lap and never relented the lead. Fahringer won in a time of 50 minutes, 4 seconds. She would gain time each lap on Ruby West (Hamilton, Ont./Specialized-Tenspeed Hero), who would finish more than 4 minutes back for second place. 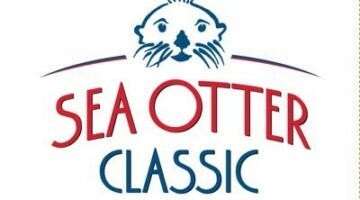 West, who won the Saturday race for elite women, said she felt the fatigue of her winning effort from the day before. When Fahringer put on the pressure at lap number two, West simply could not respond. “I think she literally just went around me and rode away. I had less than nothing to offer today. 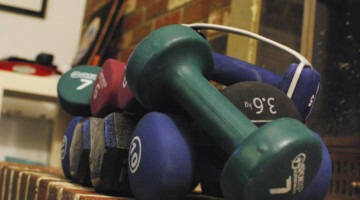 So, my legs were totally empty from yesterday. I just did as much as I could, but Rebecca was so strong, and she was gone. 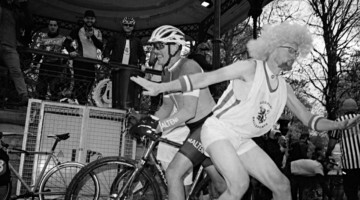 I was focused on trying to stay upright and move forward as fast as possible, even though that wasn’t very fast. I did what I could. I am happy with second today. It’s been a good weekend,” West added. 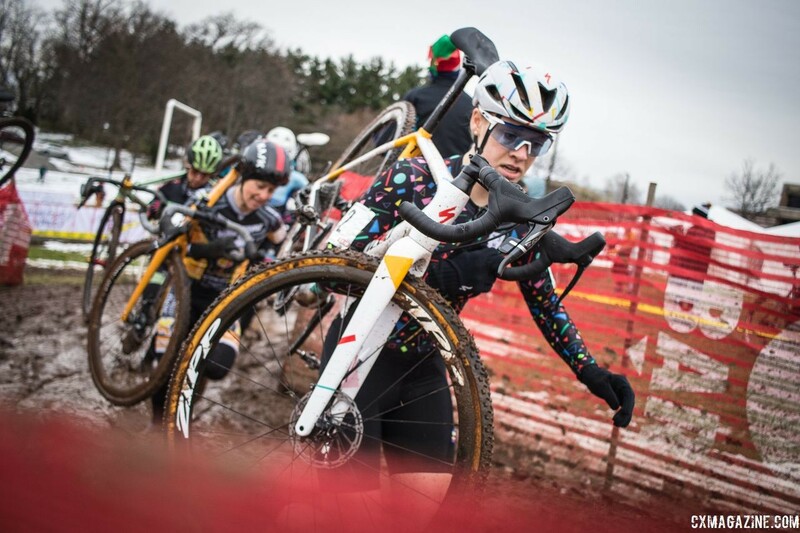 Supercross Cup would prove to be a breakout ride for Jane Rossi (Newburyport, Mass./Rhode Island School of Design) as she secured her first ProCX podium of the year. Rossi finished 4 minutes, 58 seconds behind Fahringer for third. 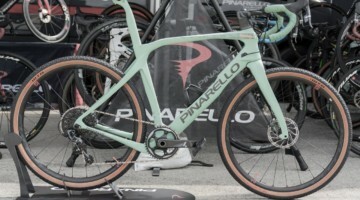 Canadian Magdeleine Vallieres (Sherbrooke, Que./Quebecor-Stingray), who was third on Saturday, finished four seconds behind Rossi for fourth on Sunday. 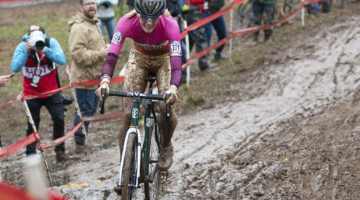 Fahringer planned to continue her season at NBX Gran Prix of Cyclocross after Thanksgiving. 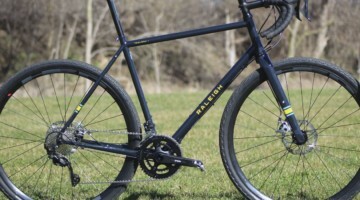 She would then compete at the USA Cycling Cyclocross National Championships in Louisville, Ky., which will be held Dec. 11-16, 2018. 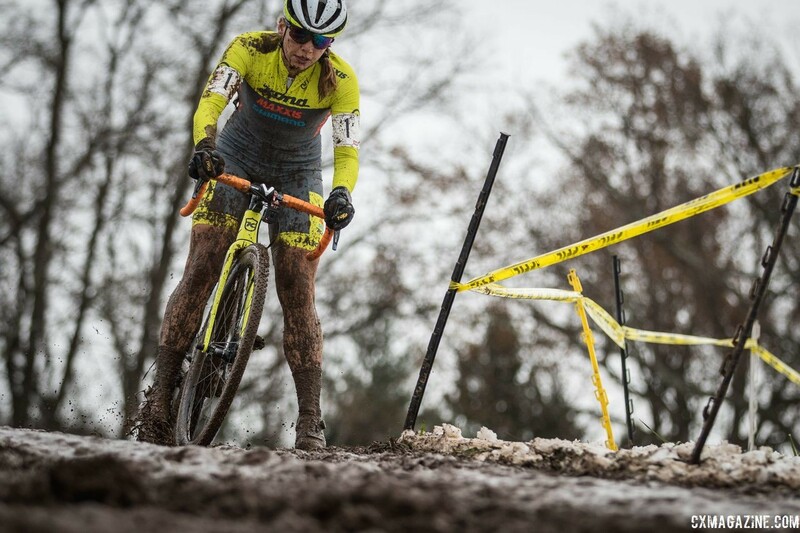 While 15 of the 26 Elite Women completed all laps, the Elite Men’s contest saw more attrition due to the slick, mucky conditions. Just 6 of the 23 riders who started for the men were able to complete the 8 laps on Sunday. A lead group would unfold in a similar fashion to the first day, with White and Kerry Werner (Birdsboro, Penn./Kona Maxxis Shimano) at the front. White spent 1 hour, 5 minutes, 43 seconds in the mud to earn another win. Werner, who took second to White in the same race in 2017, finished 2 minutes, 35 seconds back on Sunday for silver. “I would say if yesterday was a swim meet, today was the Supercross Cup tough mudder. 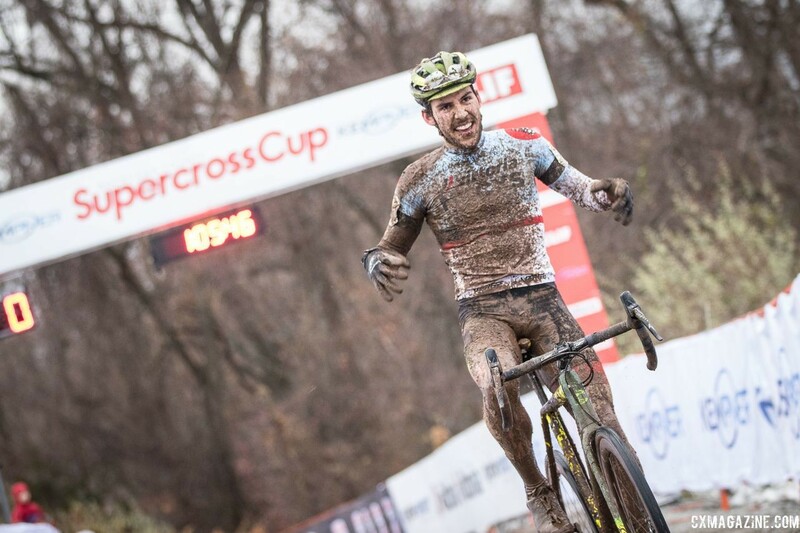 Man, I don’t know what percentage of the course was running today, but it had to be over half,” said Werner, who is the men’s leader in ProCX points. 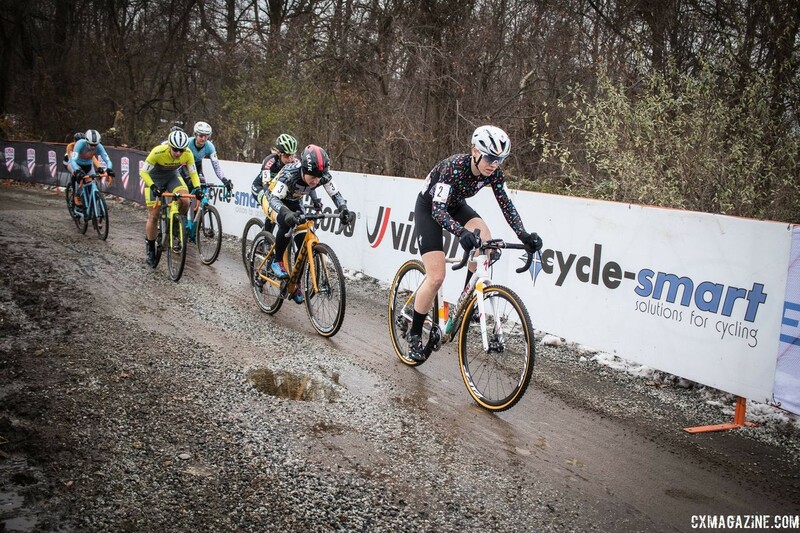 Like Saturday, a battle for third place ensued between three riders—Merwin Davis (Star City, W.V./Cycle-Smart), Sam Noel (Shelburne, Vt./UVM Cycling / Cannondale Cyclocross) and Cooper Willsey (Hinesburg, Vt./Furman University). For the second day in a row, Davis emerged with the bronze medal, finishing 4 minutes, 18 seconds behind White. He would hold off Noel in the middle laps to maintain third place. 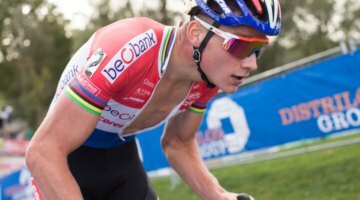 Noel, the U23 leader for men in the Vittoria Series, would finish fourth. 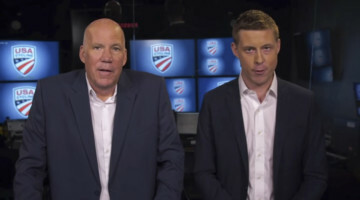 Willsey would finish fifth. 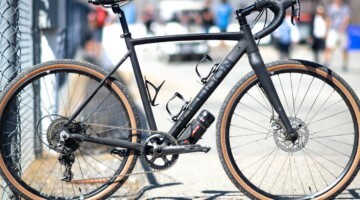 The Vittoria Series will conclude at Goddard Memorial State Park with the NBX Gran Prix of Cyclocross in Warwick, R.I., Dec. 1-2. White extended his lead to 300 points after his sweep. 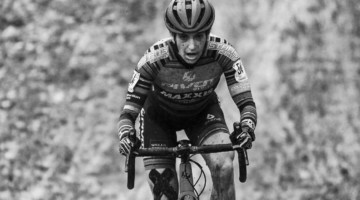 Ellen Noble (Kennebunkport, Maine/Trek Factory Racing CX) did not compete in New York but remained in the Vittoria Series leader’s jersey for Elite Women with 150 points. 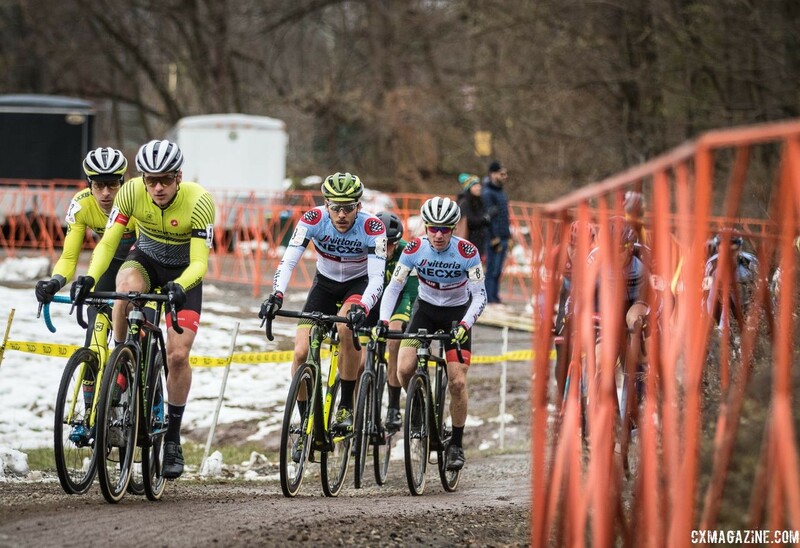 Following a break for Thanksgiving holiday, ProCX races return Dec. 1-2 with dual events in Rhode Island and Texas. 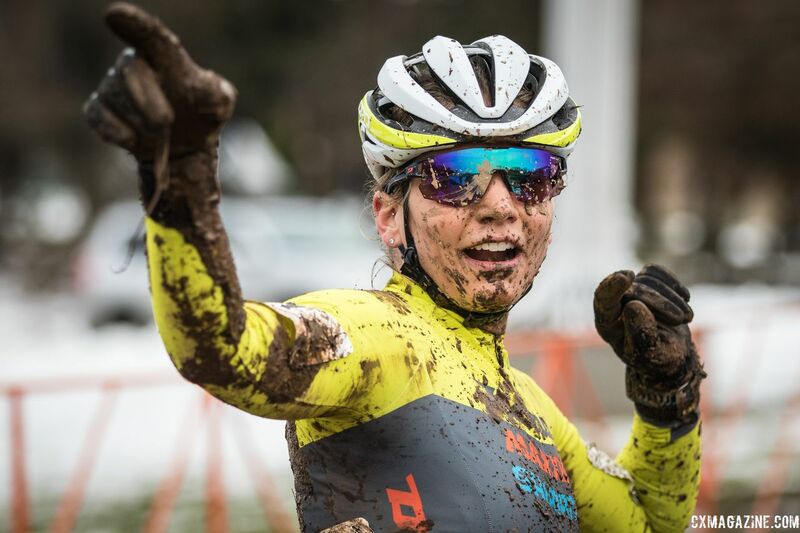 NBX Grand Prix of Cyclocross, now in its 14th season, will feature Category 1 races on Saturday for the first time, followed by C2 events on Sunday. The event returns to Goddard Memorial State Park, which features fire pits scattered around the course and Christmas lights on the carousel. 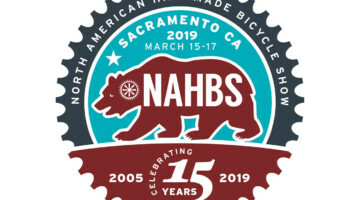 NBX Gran Prix of Cyclocross is one of seven ProCX events across the country that offer Category 1 races. 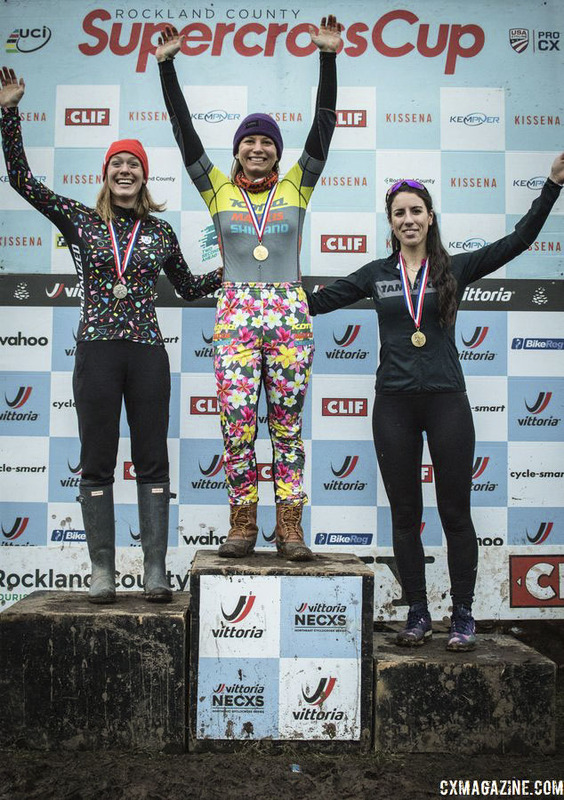 It is also the fourth and final weekend for the Vittoria Northeast Cyclocross Series presented by Clif Bar and Cycle-smart. 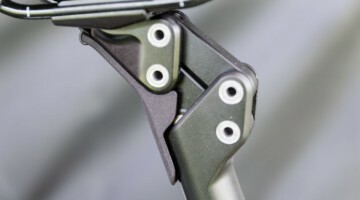 Visit the website at nbxbikes.com. 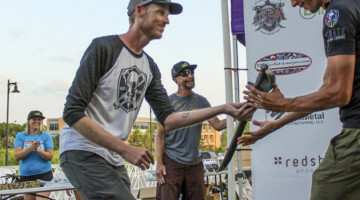 The Resolution Cross Cup returns to Garland, Texas for two days of UCI C2 races. 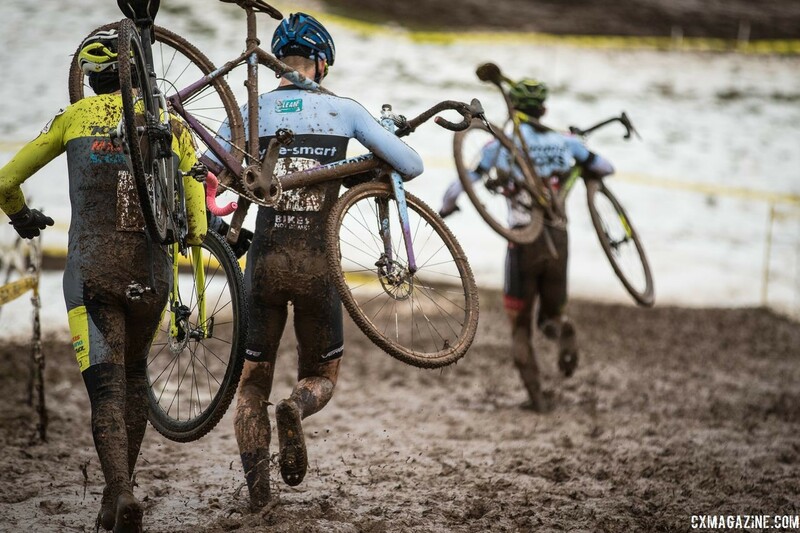 It is the seventh year for the cyclocross event and the only ProCX racing in Texas. 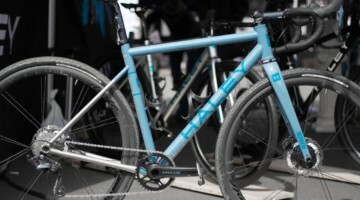 All races are hosted by the Texas Cross Syndicate. 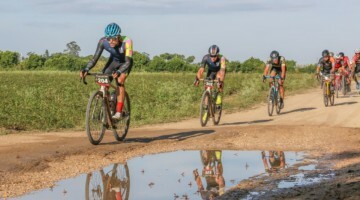 Races are held at the Winters Park Amphitheater in Garland (Northeast Dallas), with amateur events being the third and final weekend of the North Texas Cyclocross Race Series (NTXCX). This year’s course includes a new wooded section, varied use of the park’s steep contour and a new stairs section. 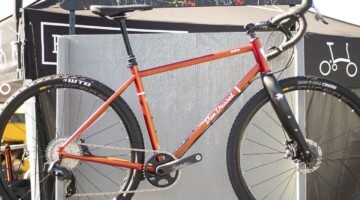 Visit the website at texascross.com. Full race results are below.